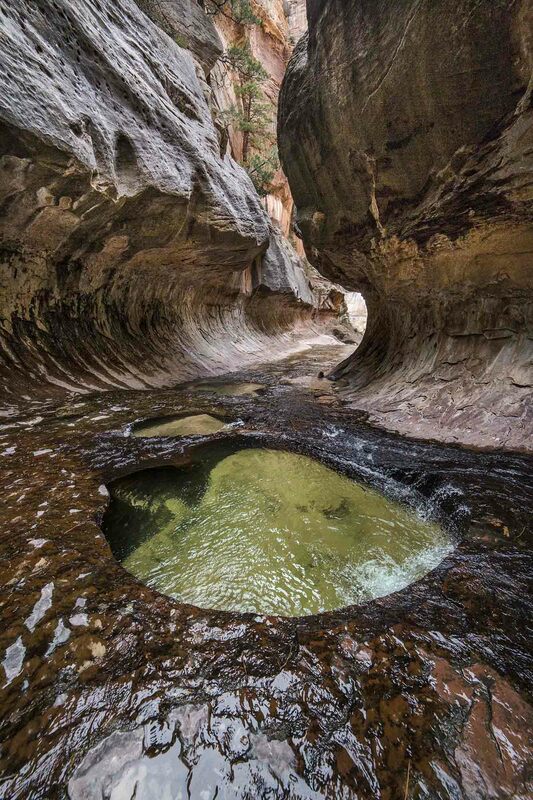 Sometimes known as the “Subway”, Left Fork Canyon is out of the main section of the park. To get there you need to go north on the Kolob Reservoir Road, out of Virgin. 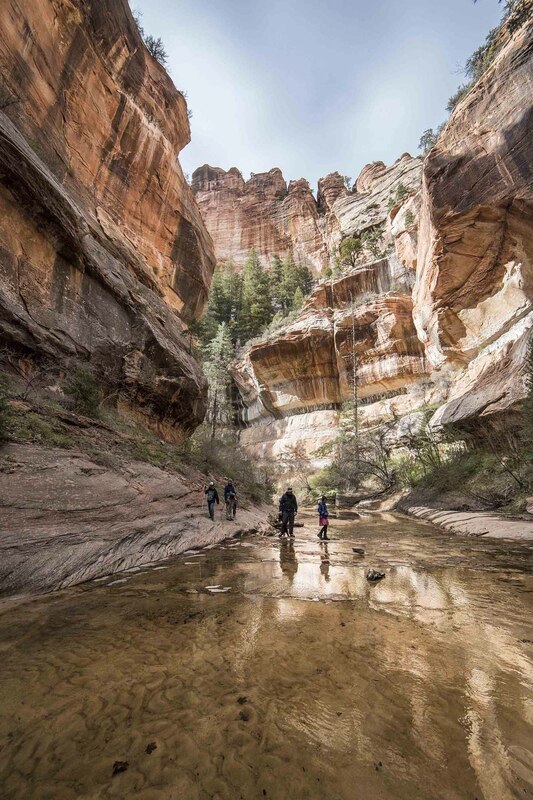 Permits are required for ANY hiking there, which is a wonderful thing as it makes for a real wilderness experience which is totally unlike hiking in the Zion Canyon part of the park. The “subway” name comes from the shape of the canyon walls, as you can see here. This last shot I managed from inside the subway using my new 14mm lens. A truly stunning location. Make sure to book a permit before you head down there next time, you will not be disappointed! Zions is one of my favorite places.